Tummy tuck, also called abdominoplasty, is an operation that Dr. Rodney Green frequently performs at his Cleveland plastic surgery practice. The procedure is designed to restore an attractive shape to the abdomen after an event such as pregnancy or massive weight loss has taken a physical toll. Tummy tuck is typically recommended when diet and exercise have failed to improve the abdomen’s contour. Diet and exercise are unable to address the laxity of the tissues of the abdominal wall. Individuals that have noticed a significant change in the appearance of the abdomen after pregnancy or weight loss, and feel self-conscious about their appearance, may benefit from tummy tuck. Dr. Green encourages anyone interested in the procedure to do research on their own and to schedule a consultation with him to discuss candidacy and treatment options. What does a Tummy Tuck Accomplish? Often, removing excess skin and tightening the remaining skin improves the look of stretch marks on the lower abdomen because stretch marks are more obvious on loose skin. After tummy tuck, the abdomen looks flatter and firmer. Clothing and swimwear looks better on the body, and it is usually easier to find wardrobe options that fit. Patients also note a significant increase in self-confidence and better body image. Ideally, tummy tuck candidates are individuals that are in good health, do not smoke and maintain a stable weight. Individuals that are overweight do not make ideal candidates for surgery. Candidates should understand the benefits and risks of surgery and have reasonable goals and expectations. 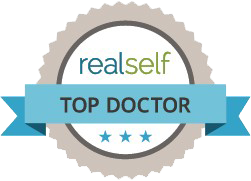 The best way to determine tummy tuck candidacy is to attend an informational consultation with Dr. Green. To make an appointment, please call 440-449-8880 today. Tummy tuck is generally performed on an outpatient basis at our State Licenced Surgery Center (Legacy Surgery Center) where Dr. Green is the Medical Director. Anesthesia is administered for complete patient comfort. The operation takes about four and a half hours, depending on the specific plan of treatment. To begin, Dr. Green makes a horizontal incision on the lower abdomen. The incision is located low enough that any scarring can be concealed beneath a bathing suit or underwear. He removes excess abdominal fat using liposuction techniques, and excises loose, hanging skin. Dr. Green tightens the muscles in the abdominal wall in a side-to-side fashion to narrow the waist. The belly button stays where it is and is brought out through a new location. When Dr. Green is finished making the surgical modifications, he closes the incision with sutures and bandages it. A special binder garment may be wrapped around the waist to put slight pressure on the healing tissues. Dr. Green uses a no-drain technique whenever possible together with a progressive tension technique which improves the scar and reduces the incidence of seroma formation. After recovering at the surgery center for a few hours, the tummy tuck patient is released to go home. Occasionally, Dr. Green recommends a modified version of the procedure known as mini tummy tuck. Mini tummy tuck is appropriate for individuals with moderate skin laxity and fat below the navel. It is great for the individual that is in relatively good shape but needs subtle refinement in the lower region of the abdomen. The mini tummy tuck procedure involves removing skin and fat from the lower abdomen only. The belly button is not moved and the incision is typically shorter than that of traditional tummy tuck. Immediately following tummy tuck, patients must arrange for an adult to drive them home and stay with them for at least the first 24 hours after surgery. For the first few days, tummy tuck patients have to take it easy. They mostly rest in bed or on the couch in a comfortable position, and take oral medication to manage any pain. Walking is encouraged. Dr. Green makes a post-operative house call after surgery if necessary to change the surgical dressings. This unique service makes the post-operative recovery more comfortable for his patients. He keeps in close contact with tummy tuck patients as they heal. Dr. Green in many cases avoids the use of drains altogether. This simplifies the recovery. It is recommended that tummy tuck patients take at least one (preferably two) weeks off from work to recover. They need to refrain from strenuous activity and exercise for several weeks, too. Dr. Green informs his patients of when it is safe to return to work, exercise, socializing and other activities. Most post-operative side effects subside within a month, but full recovery can take up to six months. The scarring along the incision line fades considerably over time. The total cost for a Tummy Tuck with Dr. Green including the facility fee, anesthesia, and the surgical fee, as well as the followup, is approximately: $8900. (This may be different in special circumstances.) Financing is available. Do you want to Schedule a Tummy Tuck Consultation? Are you interested in learning about tummy tuck and how it can improve the appearance of your abdomen? For more information about tummy tuck surgery with Dr. Green, please contact our Cleveland plastic surgery practice and schedule a consultation. Call us today at 440-449-8880 to make your appointment. You can also email (drgreen@dr-rodgreen.com) and we will contact you.